High jump pit covers come in 2 basic configurations. We designate them as Option A and Option B. Here we deal with High Jump Pits and covers for option A. 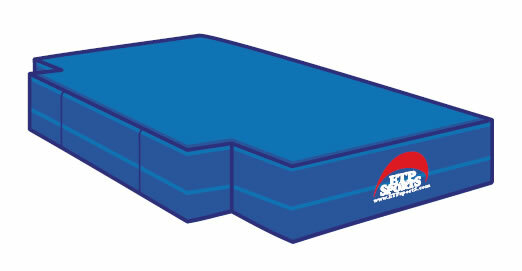 Use this page to contact us for an Option A Style high jump pit cover. Standard Pad Style & Available Colors are above.